One of the biggest gripes I hear about Chrome OS(s goog) devices is that they offer no support for native printing. I can’t, for example, directly connect a printer to my Chromebooks. The reason: Google introduced Cloud Print for Chrome in 2010 instead of supporting the more traditional methods of printing. I bought an HP(s hpq) ePrint printer a few years ago for this reason: I can print to it from anywhere because it supports Google Cloud Print. Not everyone wants to buy a new printer, though, which is totally understandable. 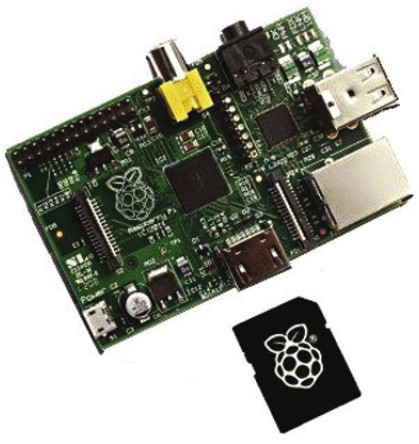 Would an investment of $35 for a Raspberry Pi and a little elbow-grease be more palatable? You can use the credit card sized Pi as a Google Cloud Print server to enable remote printing to any standard USB printer. For those not familiar with it, the Raspberry Pi is a small, low-power barebones computer that’s popular in the maker and education communities, having sold more than 3 million units. I just bought one last weekend and have a number of projects in mind: The device can run various Linus distros, works as a headless computer — one without a monitor — that you can remotely access and can act as a server. 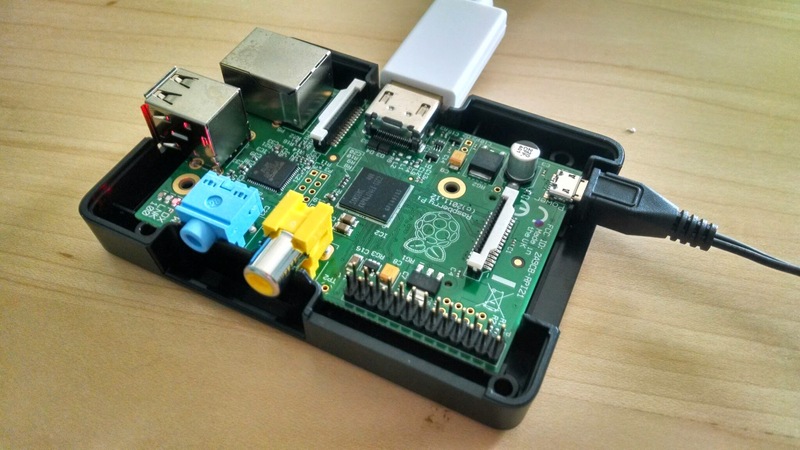 In my particular case, I plan to use the Pi as a small web server for some self-education purposes, but it functions just as well as a Google Cloud Print server. When you purchase a Raspberry Pi, you either need to download the basic firmware to an SD card or buy a pre-installation “NOOBS” card for around $8. That lets your Pi boot up but little else. Note that the Pi has no on-board storage, so it uses an SD card as a hard drive. You can then download one of several Linux distributions directly from the Raspberry Pi site here, although booting from the NOOBS card will offer to install one of these operating systems for you. Once you have Linux up and running, you can turn your Raspberry Pi into a dedicated Google Cloud Print server with a script. Google outlines the final step, which is to run a Python script the company has made available here: Download the script to your Pi and run it. There are also some configuration options that Google explains on the script download page; these tie the Cloud Print Server to a specific Google account and start the server running. If you’d rather do this through the Chromium browser, you can: Just hit up the Settings in Chromium and choose to add a printer in the Google Cloud Print section. You’ll still need to assign a Google account to the printer. Once you have the server running, your Raspberry Pi will simply wait for print jobs and send them to a USB-connected printer. While you could accomplish the same thing by re-purposing an older computer, the Raspberry Pi is cheap and uses far less power than an old PC. Darren, you’re right. I used the wrong term as the Pi has either 256 or 512 MB of memory but not storage. I’ll make that correction; thanks! 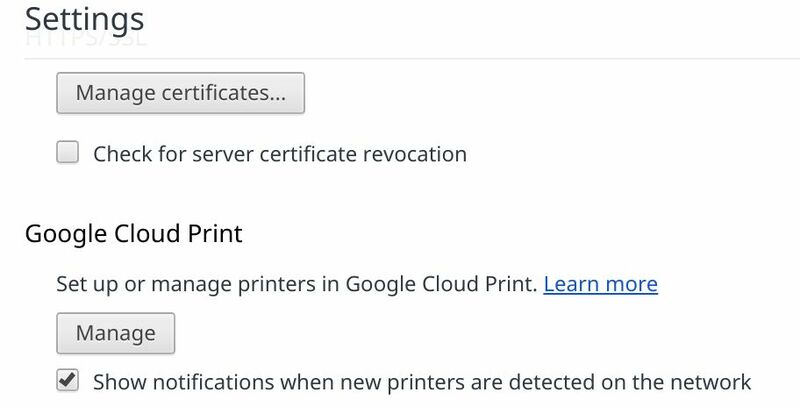 I have an even better idea: Avoid using Google’s cloud printing service!